For self-drive hire bookings and all skippered cruises boarding is completed at 45 Newquay Promenade Docklands. This is in between Berth and Cargo Restaurants. For our private charter bookings onboard Birrarung boarding is completed at Melbourne City Marina located at 85 Newquay Promenade Docklands. 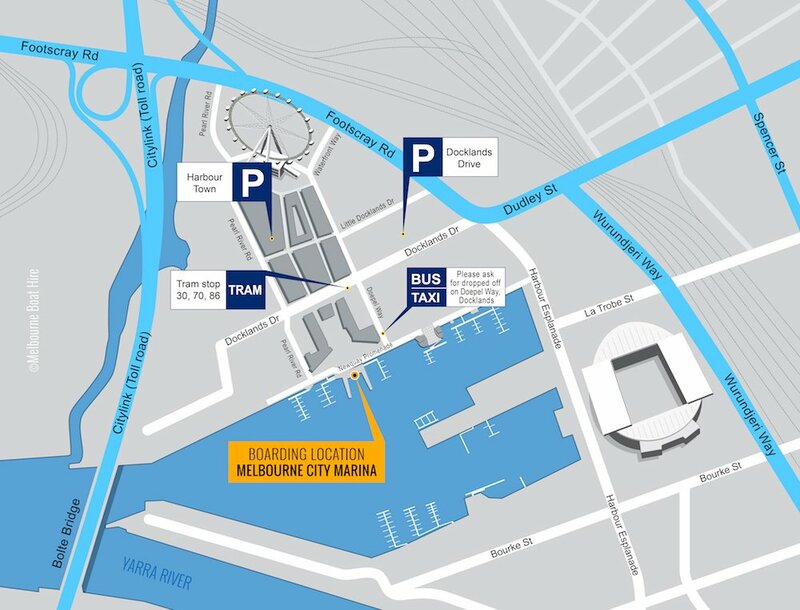 Birrarung will be berthed at the designated commercial vessel pick up and drop off berth. We are located at New Quay Marina on New Quay Promenade, Docklands. 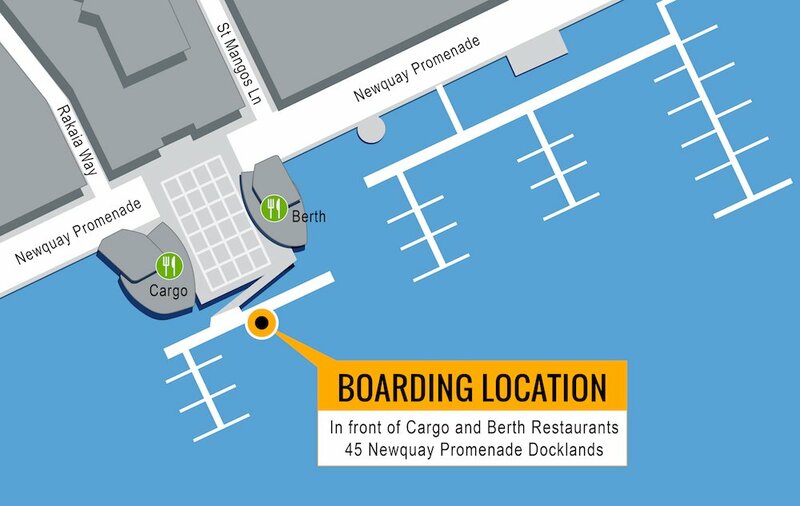 Boarding is completed at the public berth located at 45 New Quay Promenade, Docklands. This is in between Cargo and Berth restaurants. Off street parking is available on Docklands Drive or undercover parking is available at Aquavista also on Docklands Drive. New Quay Promenade is only a short walk from Southern Cross station. A bike lock station is located on New Quay Promenade, also a Melbourne Bike Share station is located on New Quay Promenade. Get off at stop number 9 at Harbour town, Docklands and New Quay is a short walk from there.